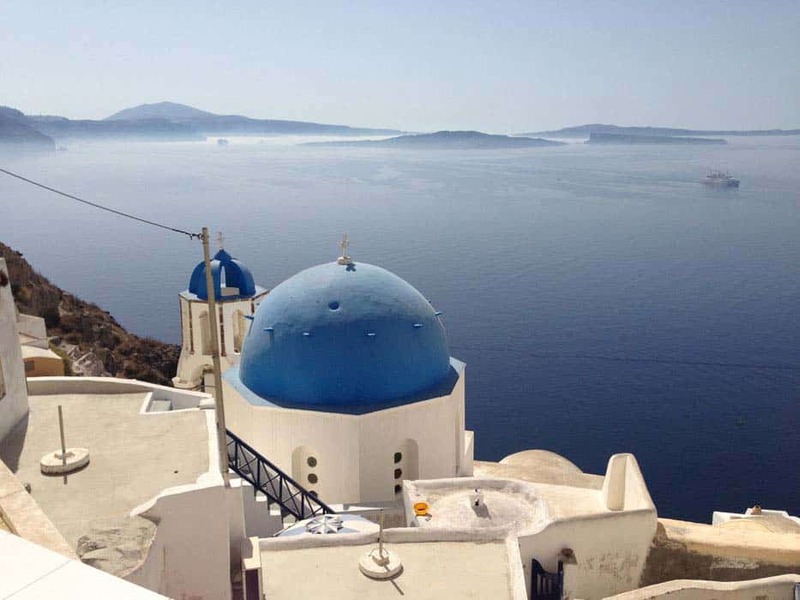 If you have never been to Santorini and are thinking of going – here are 7 reasons to visit Santorini that will make you book your holiday immediately! 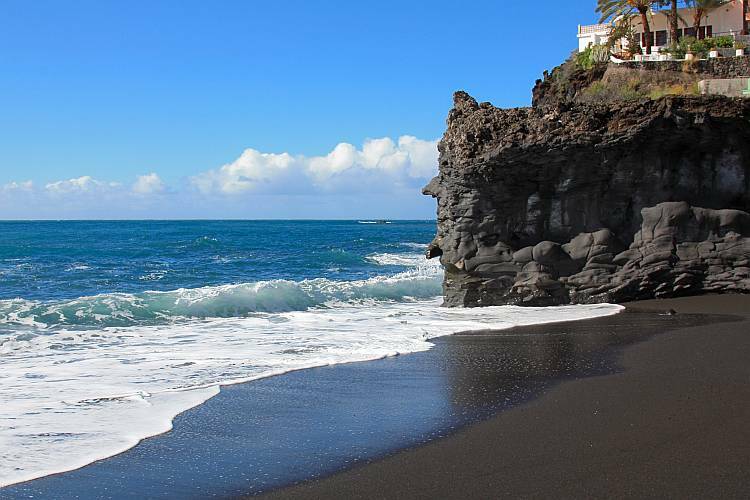 Black sands contrast spectacularly with crystal blue seas. The black sand is something you won’t find on other Greek islands as it is caused by the volcanic nature of Santorini and give it an extraordinary beauty. On the Southeast coastline of Santorini, there are two successive beaches, Perissa Beach and Perivolos Beach, which basically form one lengthy beach that is particularly famous for the black volcanic sand phenomenon. The village of Oia is probably the most popular spot for watching the sunset. Many gather for the best view of Santorini sunsets by the castle. From here you can gaze across the most spectacular view and colours unfolding in front of you, the changing light against the white building reflecting against the sparkling Aegean Sea. Proudly jutting out into the Aegean waters at 20 metres above sea level, the Skaros Rock was originally built to protect the coastline from pirates. Although it was left in ruins by a series of powerful earthquakes during the 17th, 18th and 19th centuries, the fortification is now a beautiful tourist site and a must-see highlight of Santorini. Hiking to the rock is an incredible way to experience the island with cliff top walking and picturesque landscapes. Santorini’s unique landscape is best appreciated from the water. Why not charter a boat with your travel companions. 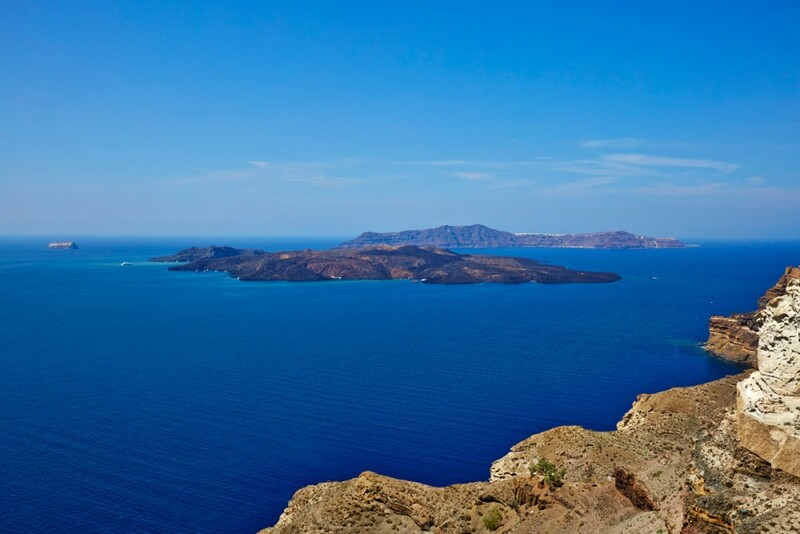 You will get incredible views of the whitewashed towns perched high on the caldera and the deep blues of the sea may entice you to stop for a dip! There are lots of opportunities for diving in Santorini. 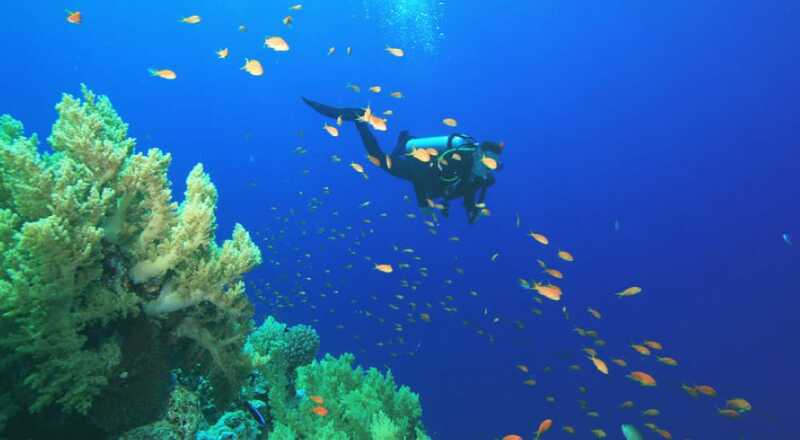 The volcanic geological background of Santorini offers great chances for diving. The sea bottom of the island is among the most beautiful and interesting ones in the world, featuring a multitude of underwater caves, reefs, wrecks, rich marine life and the, of course, the volcano. Below the cliffs, in certain areas, the sea bottom offers lava formations and making life hiding amongst the lava rocks. A caldera is a cauldron-like volcanic depression and the bay at Santorini is at the centre of the caldera. Huge cliffs stretch all around and compose the most breathtaking scenery on the island with the local architecture forced to form around the caldera rim. After the continuous volcanic eruptions, the caldera was shaped a long time ago and has always fascinated travellers from all over the world. The local architecture was forced to adjust to this unique formation and now buildings seem to be hanging from the cliffs, offering panoramic views of the Aegean Sea and the volcano. Created mainly by a huge eruption in the 17th century BC and with the latest volcanic eruption on the island taking place in the 1950s, this is one of the largest calderas in the world and certainly one of the most spectacular. 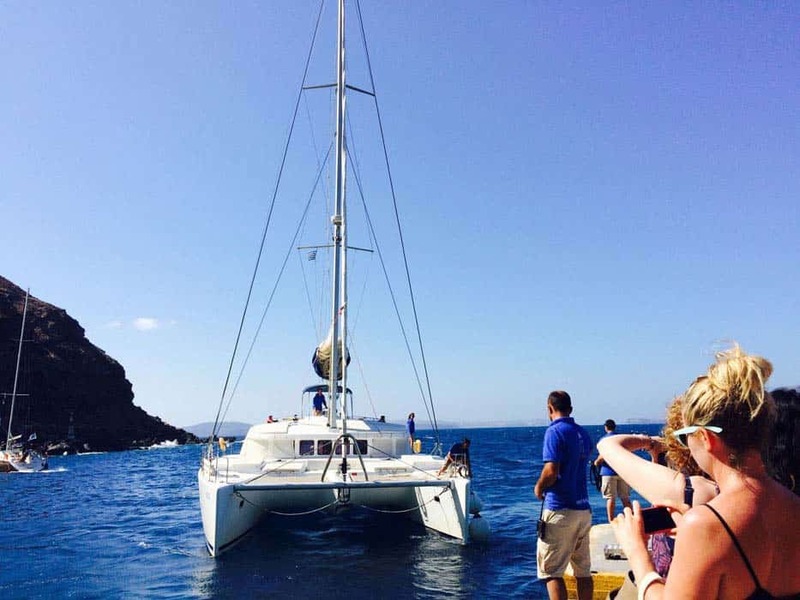 Why not choose to come on an adventure to Santorini with us? We offer a breathtaking and unforgettable sunshine and yoga holiday in Greece. There are more than these 7 things to do in santorini but these are just the start! We also include yoga so that you feel totally rejuvenated and energised and enjoy the breathtaking beauty of this Island.